Bosses at Rotherham-based United Carpets, the third largest chain of specialist retail carpet and floor covering stores in the UK, have been pleased with the company's 3.2% like for like sales increase. The group uses a franchise model and the board said that "recording moderate increases in revenue, level profits and positive like for like sales of 3.2% is therefore a satisfactory outcome for the year." In its unaudited preliminary results for the year ended March 31 2018, United Carpets reported a pre-tax profit of £1.52m, compared to £1.53m in the previous year, as revenue rose 2.5% to £21.72m. With the like-for-like sales increasing during the period the company said that they had however fallen 1.6% in the first months of the new financial year. During the year, one corporate store was added to the portfolio taking the total number of stores to 58. One new store could open this financial year. Of the 58 stores, 50 are operated by franchisees and eight are corporate stores of which three are considered to be long term corporate stores and five could be franchised. The board at United Carpets said that the key driver for the increase in sales "came from the effectiveness of the franchise network and the combined commitment of our franchisees who act as individual business owners with the ability to draw upon the resources of the group." 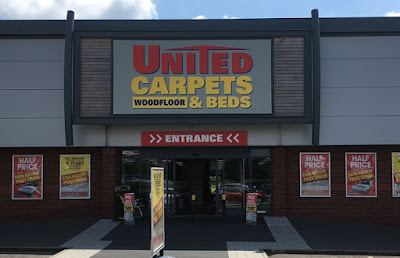 Paul Eyre, chief executive at United Carpets, said: "In the context of today's retail market, achieving a 3.2% like for like sales increase was a pleasing performance. It reflects strong product ranges at attractive price points and a high level of personal commitment from our franchisees to their individual stores, displaying substantial resilience when market conditions become more challenging. "While the adverse impact of the recent exceptional weather and the World Cup is unsurprising, the resilience of the franchise network represents a key point of differentiation for United Carpets and one that continues to be important in the current market environment."